Boa figure. Height: ca. 50 cm. The above Boa figure was collected by Camille D’Heygere. D’Heygere was stationed in the Congo Free State between 1893 and 1898, first as a deputy prosecutor in Boma, later as a judge in New Antwerp. 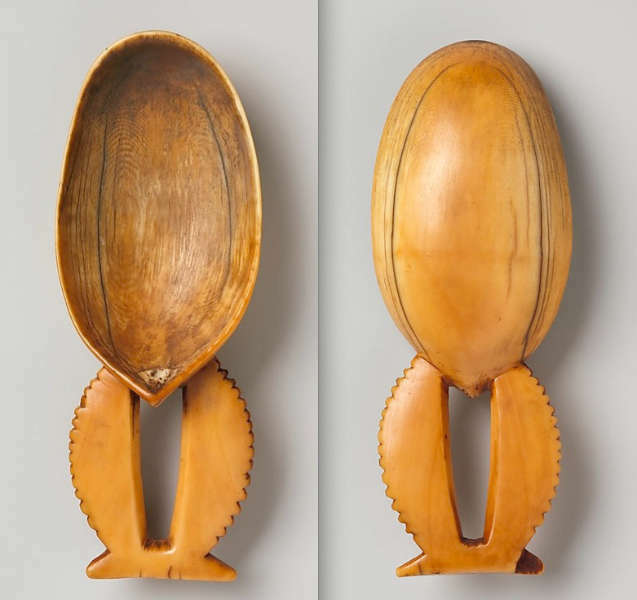 His collection was sold last week at a small auction in Brussels; all objects were heavily underestimated – which of course attracted a lot of attention. The above Boa figure was sold for € 61,000. Only a handful Boa figure are known, among which three by the same hand as this one. 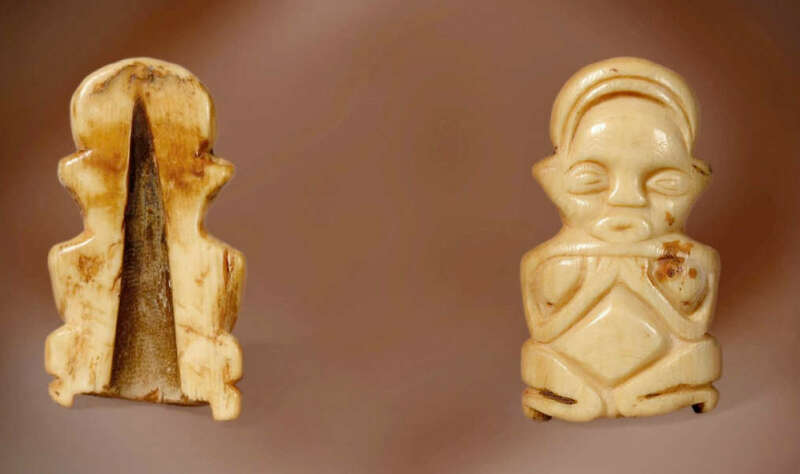 Two other objects with this same provenance were sold: a Mbole figure (which made € 68,000) and a Hungana pendant – sold for € 26,000. All three objects were never published before. 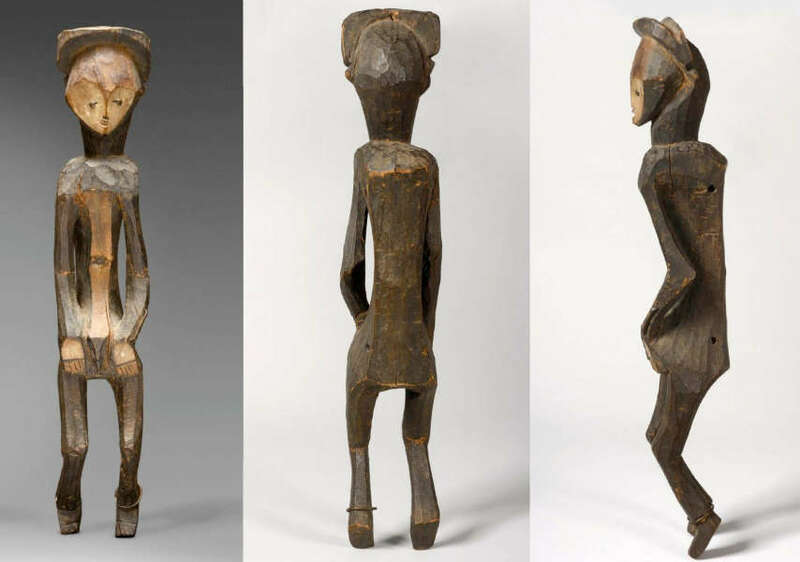 The early provenance makes this Mbole figure possibly the first to arrive in the West. 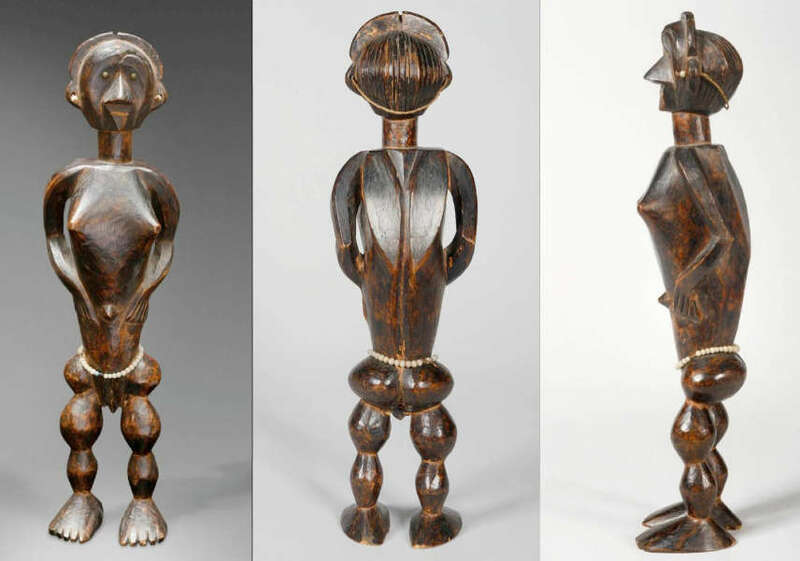 UPDATE: the Mbole figure was bought by Pierre Dartevelle (who exhibited it during Parcours des Mondes 2014) and the Boa figure was acquired by Bernard de Grunne (who showed it during the Biennale des Antiquaires, also in Paris). Mbole figure. Height: ca. 70 cm. Hungana pendant. Height: ca. 8 cm. 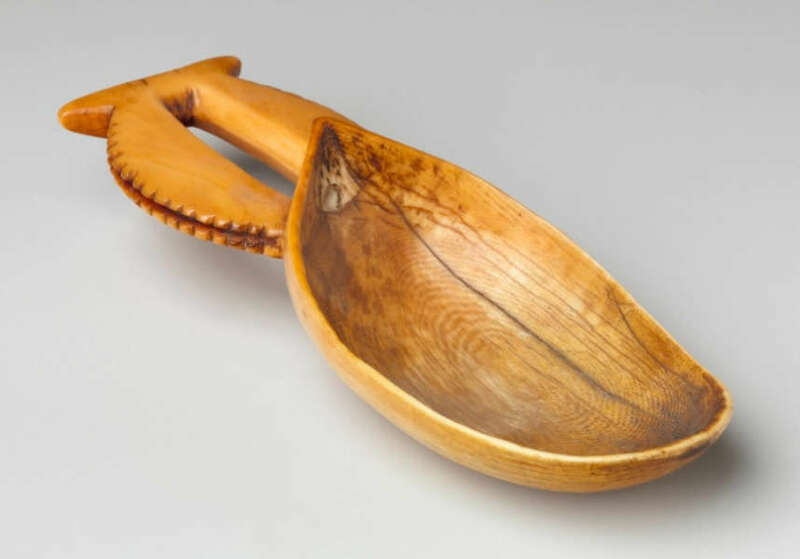 This entry was posted in Auctions, Discoveries, Objects and tagged Boa, Hungana, Mbole on June 22, 2014 by admin.